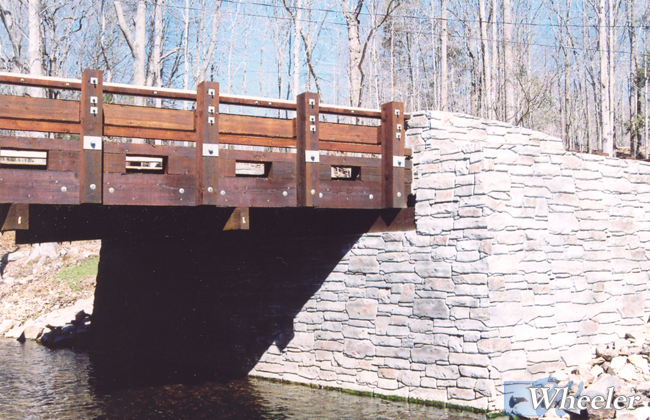 Whether the bridge will be for recreation or highway use it is important to pay attention to the foundation. 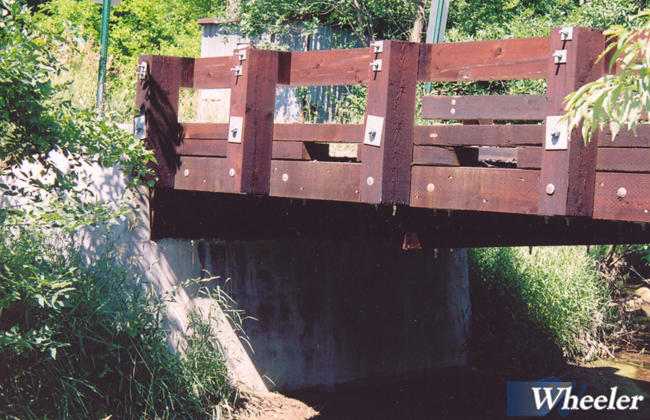 Without the proper foundation the bridge may not perform properly or, more importantly, fail. 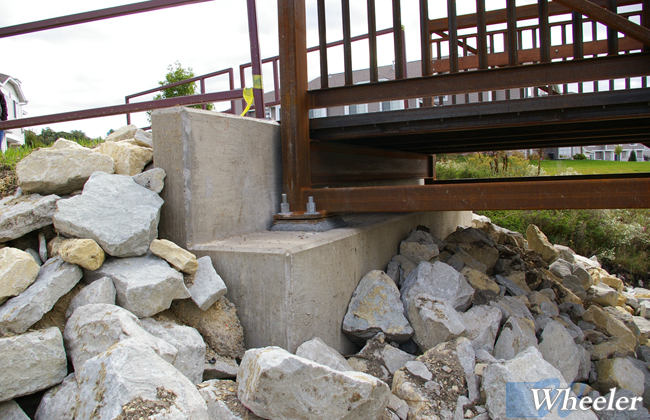 Soft soils often require deep foundations. 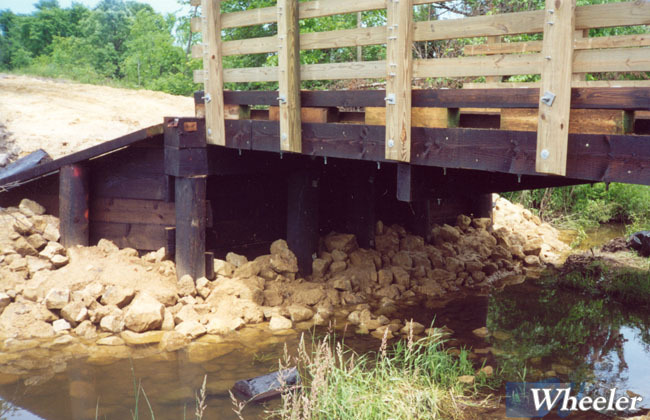 Driven piling works well for these applications and often requires less material. 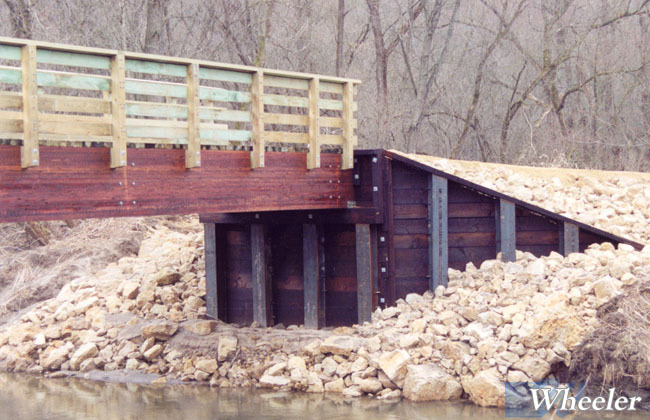 All types of driven pile (timber, steel shell, steel H, etc.) 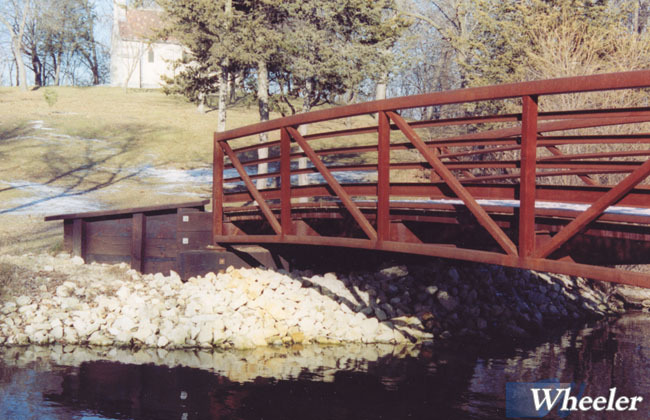 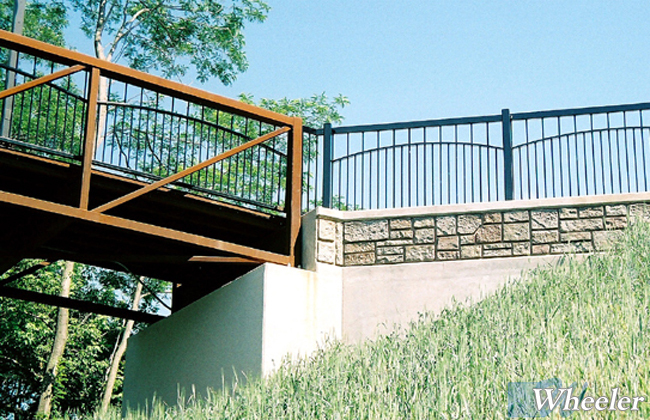 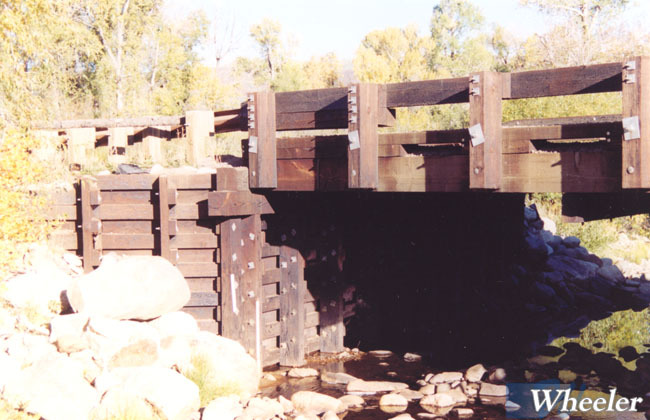 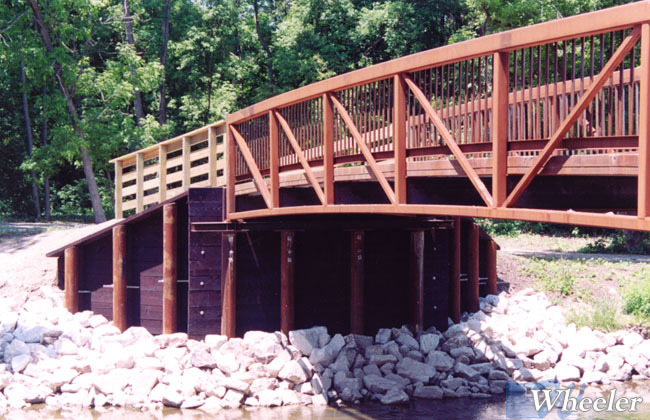 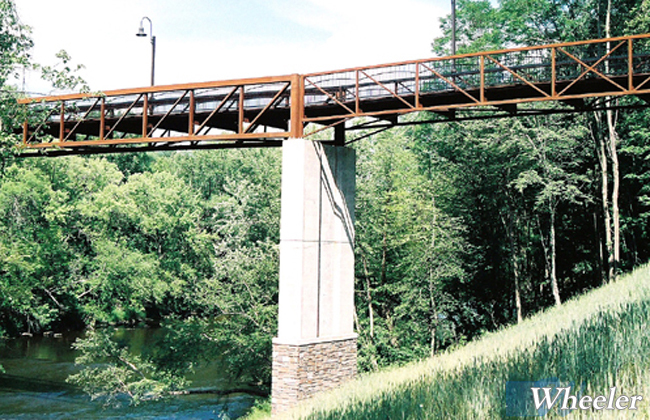 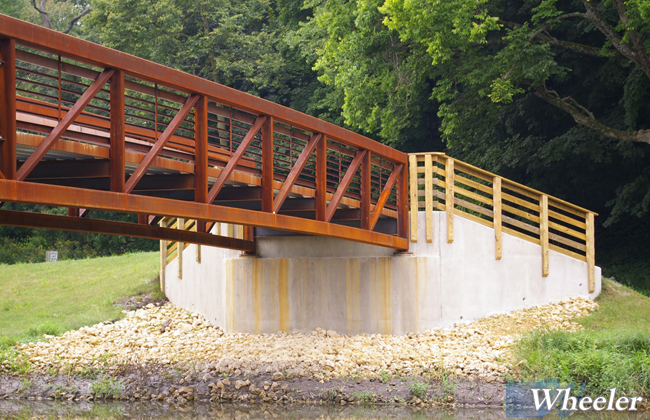 can be backed and capped with treated timber or the bridge seat can be built with poured-in-place concrete. 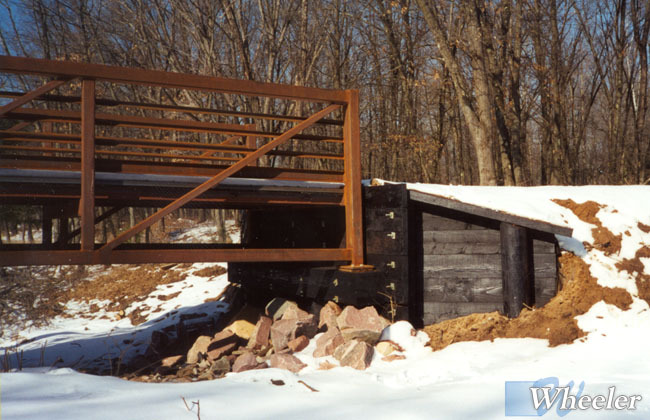 If solid ground is found near the surface a spread footing can be built. 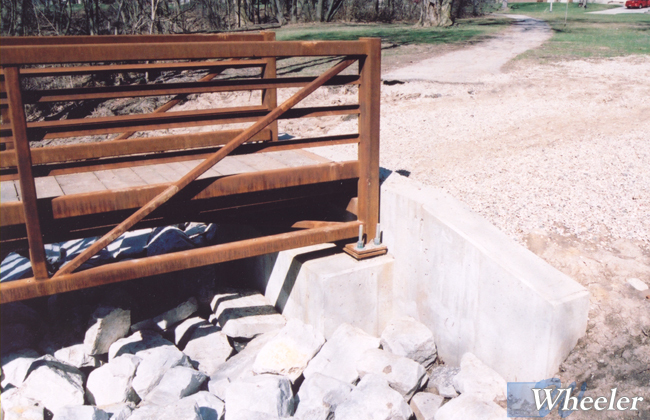 For areas with good access, poured-in-place concrete works well. 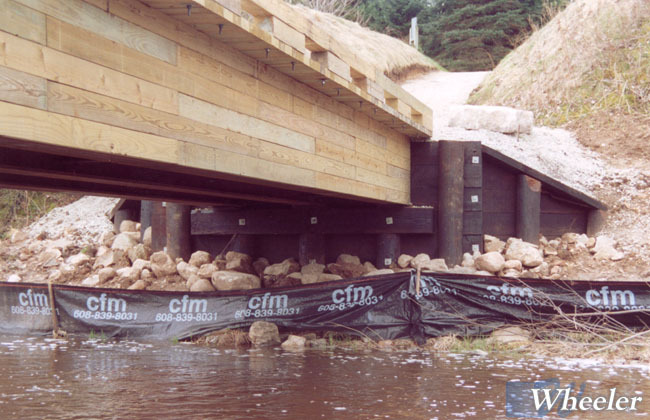 In remote locations spread footings can be built with treated timber. 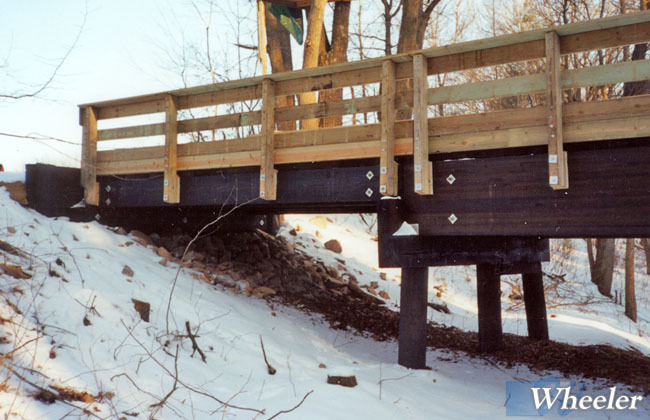 It is important to review the installer’s access and equipment capabilities to ensure the chosen foundation can be built without excessive expense. 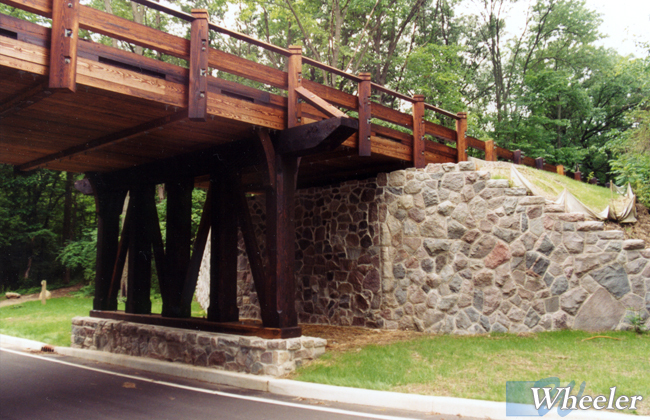 Often the design can be tailored around tough site conditions.